"Hit hard and hit often." That's the conclusion reached by a group of Canadian mathematicians who have produced a model of epidemic rates of a hypothetical zombie attack and how one might be survived. 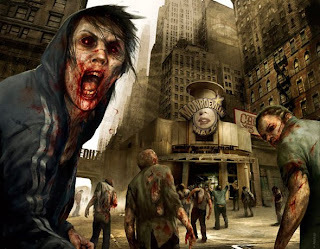 According to the researchers, an infestation in a city of 500,000 people would find the living outnumbered by the undead within three days. However, a strategy of "impulsive eradication" adopted early enough would be adequate to deal with the crisis. It is good to know such things, yes?